Joliet Divorce Attorney | Johnson & Johnson, Ltd.
Divorce is one of the most difficult and stressful times of life. Nobody wants to go through a divorce, but when it happens, there are many decisions that must be made. The decision to move forward requires first working through the many emotional and financial choices that will have an impact on you and your family for years to come. The path will be easier with guidance from an experienced Joliet divorce attorney. The family law attorneys at Johnson & Johnson, Ltd. have years of experience working specifically with divorce cases and can provide you with the best possible representation. Divorce, also called a dissolution of marriage, may be contested or uncontested. Many divorces today are uncontested because both people agree to them as well as to the main terms of the settlement. However, if one spouse is not in agreement, it is called a contested divorce. This can make the process lengthier and more costly than an uncontested divorce. If you are divorcing you will likely have many questions and concerns about the situation. A skilled Joliet divorce attorney knows how to handle difficult issues that may arise and will quickly answer any questions you may have. When you are ready to divorce, one party needs to file a petition with the court. Family court is in charge of the proceedings in a divorce. They take care of preliminary hearings, custody issues, contested cases, and support matters. A knowledgeable Joliet divorce attorney understands how complicated some of these matters may be and will represent you throughout the process to protect your rights and your needs. 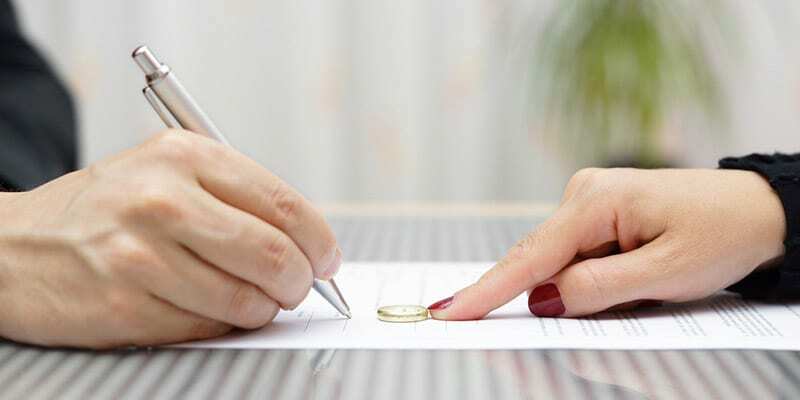 Count on your Joliet divorce attorney to guide you through the process to handle every possible situation that may come up while reducing your stress level. For most couples, the grounds of irreconcilable differences are most often used for divorce in Illinois. As your Joliet divorce attorney will discuss with you, the term “irreconcilable differences” means that the spouses cannot resolve their differences and are unable to continue to live together as husband and wife. This is the most common divorce ground because it does not affix any blame for the failure of the union to either partner. While irreconcilable differences is the most utilized grounds for divorce, there are other grounds that may be used if needed. Some other grounds for divorce include abandonment, adultery, and criminal guilt, to name a few. If you are divorcing, discuss the grounds for divorce with your Joliet divorce attorney. These issues may become complicated if parties do not agree with each other. At times, these settlement terms can become a source of discord. Regardless of how complex the problems are, a skilled Joliet divorce attorney knows how to help couples work through their differences to agree on a plan that works best for them and their families. Assets and debts must be distributed equitable to both partners in a divorce, according to Illinois law. Your Joliet divorce attorney will inform you that all assets acquired during the marriage belong to both parties. The division of assets, as well as liabilities, can become more difficult when the couple has a large amount of property or has been married a long time. Every divorce is different and has a unique set of circumstances that must be reviewed. When a couple owns a home together they will need to decide whether one person will buy the other out or whether they will put the home up for sale. In some cases, the couple decides to own the home together until the children are grown, at which time they will sell it. A Joliet divorce attorney will assist you in making an educated decision regarding the division of your assets and debts. Of all the decisions that must be made during a divorce, those that involve the children are certainly the most important. The decisions you make now will have a lasting impact on the entire family. Shared custody is one of the most common forms of custody today. Also known as joint custody, it allows both parents to make important decisions for their kids. Physical custody refers to where the children will reside. Many times, the children reside primarily with one parent while the other parent has visitation. Typically, the non-residential parent is responsible for making child support payments. A Joliet divorce attorney will assist you in making the appropriate parenting plan for you and your family. Disputes in divorce are all too common. In fact, many divorces start out very amicable and turn inhospitable when the settlement terms begin to be discussed. Disagreements are a part of most divorces, but can be easily handled with help from your Joliet divorce attorney. It is best to try to work through disputes as quickly as possible to assure the best possible outcome. Discuss potential problem areas with your Joliet divorce attorney so these issues can be addressed before they become problematic. The right time to seek guidance from a Joliet divorce attorney is as soon as possible after making the decision to split up. The highly regarded divorce attorneys at Johnson & Johnson, Ltd. have the expertise to handle every possible situation. With more than 30 years of experience in litigation and negotiation, we know how to resolve even the most difficult of circumstances to achieve a positive outcome for our clients. Contact the compassionate legal team at Johnson & Johnson, Ltd. to schedule a consultation with a Joliet divorce attorney today.